I’m travelling to the US next week to attend Bouchercon, the world mystery convention. I first attended Bouchercon when it moved from the US to London for one year in 1990. Whenever the chance has arisen, which isn’t as often as I’d like, I’ve returned. Conventions are a great way to meet readers and fellow writers, and there’s a bonus when they are held in unfamiliar places. I’ve been to Bouchercons in such varied locations as Toronto, Las Vegas and Philadelphia – they are cities I might otherwise never have visited and I’m very glad I did. I’m optimistic the same will be true of Baltimore. I’ve been sent details of the three panels on which I’ll be appearing. Two are scheduled for Thursday 9 October. In the afternoon, on ‘It’s Only Make Believe.’ my fellow panellists include that excellent writer Laurie R. King (whom I had the pleasure of meeting briefly at the Bristol Crimefest earlier this year) and fellow Brit Martyn Waites. I’m looking forward to it, and also to ‘Killing Floor’ earlier that day, when my colleagues will include Caroline Todd. On the final slot of the convention, on Sunday 12 October, I’ll be joining a panel to be chaired by Ann Cleeves and including fellow Poisoned Pen Press author Carolyn Wall; the theme this time is ‘A Town Called Malice’. An added bonus is that my American publishers, Barbara Peters and Rob Rosenwald, are guests of honour at the convention. Barbara and Rob recently visited Liverpool but other commitments denied me the opportunity to show them round. I haven’t seen them since I stayed with them at their fantastic home in Arizona just after a convention in Seattle nearly two years ago, and it will be good to catch up with them again. I do hope that any of you who are attending Bouchercon will seek me out and say hello. It would be great to see you. They can't all be wrong, surely! I'm sorry that Paul Newman has died. He starred in two of my favourite films that touch on the crime genre in different ways. The Verdict was a good legal thriller and The Sting even more enjoyable, with a clever crime caper strengthened by a nice score of Scott Joplin rags. My number one Newman movie, though, is that all-time classic Butch Cassidy and the Sundance Kid. It's a film that benefits from a terrific script by William Goldman (who ventured into thriller territory in other movies), first-rate acting and a brilliant soundtrack, which earned two Oscars, one for the score itself and another for 'Raindrops Keep Fallin' on My Head', which featured in the legendary bicycle sequence. I’ve watched a second Ellery Queen show, ‘The Adventure of Colonel Niven’s Memoirs’. This wasn’t, to my mind, quite as clever or as gripping as the previous episode I’d seen, but nevertheless was okay, undemanding viewing. A feature of the Ellery Queen series was the use of interesting guest stars, and in this story – about a very unpleasant writer and former spy – the big name was that of the blonde and elegant Nina Von Pallandt. Now I remember her from my childhood as part of a not very inspiring folk duo, Nina and Frederick. Her fame probably owed more to her good looks that her singing, but she did record a song, written by the formidable combination of John Barry and Hal David, for the soundtrack of the Bond movie On Her Majesty’s Secret Service. It rejoiced in the name of ‘Do You Know How Christmas Trees Are Grown?’ and it didn’t exactly race to the top of the charts, although another, much better song the composers wrote for the movie, ‘We Have All The Time in the World’, eventually did just that. I did a quick check on Nina via the internet. Apparently she split up with Frederick, who was a Continental baron. After a colourful and mysterious life, he was murdered by river pirates. Blimey, I’d never have guessed that. Maybe someone ought to write a book about him. Last Sunday saw another gathering of the Northern Chapter of the Crime Writers’ Association, this time at a brand new venue, the Dunkenhalgh Hotel at Clayton le Moors, which is not far from Accrington in Lancashire. I asked Roger whether the transparent police bulletin boards that one often sees on programmes like Crimewatch UK are now standard issue. But he told me he’d never seen one actually used – they all appear to belong to the BBC’s Props Department - more traditional whiteboards are still the order of the day. Roger is organising next year’s CWA conference, to be held at Lincoln. There will be plenty of guest speakers and I’m looking forward to it already. The photo of Roger, incidentally, was taken by Roger Cornwell. Roger and Jean are proprietors of Cornwell Internet, and amongst many other things they look after the CWA website, as well as the sites of many leading authors - and some publishers too. Anyone looking to engage web expertise might well benefit from hiring their services. The Hall was designed as a place where concerts and entertainments would take place, but it had a dual purpose, housing imposing panelled courtrooms, where cases were heard until 1984. If memory serves, Florence Maybrick was tried there, and found guilty of the murder of her husband James, whom some (but not me) believe was Jack the Ripper. In my early days as a solicitor, I appeared in the court myself a couple of times – a fascinating experience. A little more recently, the Hall was the setting when I launched First Cut is the Deepest – a fairly glitzy event that I remember very fondly indeed. There is even some talk of launching my next book there, but I’m not sure whether it will come to fruition. I mention the Hall now because I’ve had my first full tour of it, along with a group of Mensa members and visitors to Liverpool from all over the world. As so often happens with places on one’s own doorstep, I saw far more of it when I went into tourist mode than I’d ever seen before. The Britannia Adelphi Hotel in Liverpool is the city’s most famous hotel, and I featured it, in passing, in Waterloo Sunset. One of the key clues involves a photograph taken outside the hotel and mention is also made of one or two incidents from the hotel’s notable history. The Adelphi was originally built in 1826, but was extensively rebuilt in 1912 to accommodate passengers from the cruise liners, whose home port was Liverpool. The most famous was the White Star Line, owners of the Titanic, and indeed the Sefton Suite at the hotel is meant to be an exact replica of the Titanic’s smoking lounge. Quite apart from its brief name-check in Waterloo Sunset, the Adelphi has an odd connection with a famous murder mystery – the ‘White Mischief’, aka Happy Valley case. Sir Jock Delves Broughton, a key suspect, committed suicide in the hotel during the Second World War. Today it’s a tranquil place and I popped in at the weekend to take a look at the annual gathering of the members of Mensa – all the members I met seemed extremely pleasant and welcoming. If there are any Mensa members who read this blog, I’d be very interested to hear from you. Coincidence plays a part in life, as well as in fiction. It’s a criticism of a novel if the events seem to depend too heavily upon coincidence – yet the fact is that coincidences are difficult to avoid, and they crop up quite unexpectedly sometimes. One of the topics for discussion during the evening was how different authors often come up with the same plot idea at around the same time. And sometimes, even apparently original concepts turn out not to have been quite so ground-breaking after all. So, for example, the twist in The Murder of Roger Ackroyd was anticipated by Chekhov’s The Shooting Party. And yet the odds are that Christie wasn’t familiar with that interesting, but very obscure, story by the great Russian writer. Nor is she sure to have read an obscure American whodunit called The Invisible Host, which in some respects anticipates And Then There Were None. P.D. James is famously inspired to conceive her novels by a particular locale. My imagination doesn’t work in the same way. I’m not really a visual thinker, and often I paint in the details of setting after working out the main plot. So it is with the Lake District Mystery I’m writing at present. It’s not giving the game away to say that Hannah Scarlett and Marc Amos have bought a new house, near Ambleside. But so far, in the first draft, I haven’t described their home in much detail. Next morning I woke to the stillness of a sunny day deep in the Cumbrian countryside. It really was delightful – and, for an author, inspirational too. You can expect to find a version of Pinethwaite, albeit much changed, somewhere in the next Lakes book. I enjoy collaborating with other authors – both in writing projects and at events for audiences. The Murder Squad ‘virtual collective’ has been hugely enjoyable since the seven of us got together back in 2000, but I also enjoy sharing a platform with a wide range of other writers – examples include Kate Ellis, Cilla Masters, Chris Simms, Stephen Booth and a number of other very good crime fiction practitioners. 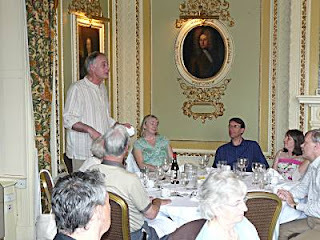 Both Diane and Geraint are, like our host Paul Flint, members of the Arthur Ransome Society. In introducing us to our audience, Paul ingeniously made the link that my first Lake District Mystery includes a vital clue that is connected with a Ransome novel. This was Winter Holiday. I haven’t read much Ransome, but Winter Holiday was read to us by a teacher at junior school when I was eight or nine, and it’s stuck in my mind ever since. You can never tell how an event will work out when you don’t really know the people you are appearing with. But I found Diane and Geraint were easy and charming companions and the mix seemed to suit the people who turned up for the evening. All in all, a very pleasant occasion. One of the pleasures of my life as a lawyer is that my work has introduced to me to a great many fascinating people. My clients include a wide range of organisations, large and small, who are a delight to work with. Among that number I'd certainly include Windermere St Annes School, based in the heart of the Lake District. It's a private school, with pupils from all over the world, and there can be very few schools which enjoy such a beautiful setting. So I was very glad when Paul Flint, the School Bursar, invited me to participate in an Authors' Evening on Thursday night. And of course I'm glad of any chance to visit the locale of the Lake District Mysteries - especially when working on one of the books. It all helps to create the right mood, even if I never seem to get enough time to write at present. I arrived in early evening, just in time to take a few photos of the school and its setting - before joining in the school dinner! The dining hall takes some beating, with stunning views and very wholesome food. It is very different from the school that I attended in the 60s and 70s (quite a nice school, but some of the worst food of all time, served in a depressing canteen.) It is festooned with flags representing different countries which send pupils to the school, and boasts a new mural depicting Arthur Ransome's Lakeland, together with the actual dinghy that Ransome used to sail, which is now there on loan. I’ve posted previously about my thoughts on the first two films in the series (based on the work of thriller writer Robert Ludlum) about Jason Bourne, the amnesiac CIA man played by Matt Damon. Now I’ve watched the latest entry – The Bourne Ultimatum. The mixture is pretty much as before – Bourne is a totally focused and highly accomplished killer, who is determined to find out who he is, and who his real enemies are. Meanwhile, within the CIA, a battle rages between those who want Bourne dead, and those who don’t. Suffice to say that there’s plenty of collateral damage – including a journalist from The Guardian! I enjoyed this film, as I did its predecessors. The Bourne movies are slickly written and produced, and seize your attention from start to finish. Robert Ludlum was no Ian McEwan, but if an intellectually undemanding, but briskly entertaining thriller is your cup of tea, the Bourne pictures are well worth watching. Will the series ever be reBourne? I’d be happy to see it continue a little longer, and I gather that another movie is planned. Thanks to the diverse scheduling of satellite tv, I’ve finally caught up with the 1970s American whodunit series featuring Jim Hutton (father of Timothy) as Ellery Queen. ‘The Adventure of the 12th Floor Express’ was a pretty good ‘impossible crime’, or ‘locked elevator’, story that I really enjoyed seeing. The mystery was neatly constructed, and included a pleasing dying message clue. I thought Hutton did a fairly good job of playing Ellery – which is about as difficult as anyone trying to play Peter Wimsey. Perhaps he wasn’t quite quirky enough, and that might just explain why the show didn’t run beyond the first series. But I’d be happy to watch more episodes. One of the cast members in this episode, incidentally, was George Furth, who died just the other day. Furth was best known as the hapless bank employee in that marvellous feel-good movie, Butch Cassidy and the Sundance Kid . As for Jim Hutton, he died tragically young, of liver cancer, in 1979. I've just been watching an ITV 3 programme profiling Ruth Rendell and although, like so many similar shows, it wasn't exactly an in-depth examination of her work, it was nevertheless a worthwhile and competent overview, with interesting comments from Val McDermid, Andrew Taylor and others. I've never met Ruth Rendell, but over the years she has kindly agreed to my including a number of her short stories in CWA anthologies that I've edited. 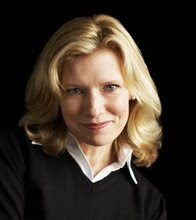 She is a very fine short story writer indeed, and this aspect of her remarkable talents is often overlooked. But it is, of course, the novels she has written under her own name and as Barbara Vine that have caused her to be regarded by many people (including me) as our finest living crime novelist. I first started reading her shortly after she published The Lake of Darkness; I borrowed it from a library and found it quite marvellous. Make Death Love Me and The Face of Trespass were as good, and A Judgement In Stone even better. I enjoy the Wexford books too, while the Vine novels are, for the most part, superb. One or two of her more recent books have not, perhaps, quite hit the mark, and some have wondered if, since becoming a Labour peer, she has allowed her political views to intrude a bit too much in a few of the novels. I've seen this suggested in a review of her latest, The Birthday Present. However, in the TV show she made it clear that she didn't want to preach to her readers and I'm certainly looking forward to picking up the new book. Even if it does not reach the heights of A Fatal Inversion or A Dark-Adapted Eye, I'm sure that it will be well worth reading. I was woken this morning, as usual, by the 'Today' programme on Radio 4, but, less usually, by the sound of Agatha Christie's voice. I was listening to a trailer for an interview later in the programme (still available on the BBC website at the time of writing this post) discussing the discovery of a box of audio tapes dictated by Christie towards the end of her life. The interview featured Christie's grandson, Matthew Pritchard, whom I've met a couple of times, and her latest biographer, Laura Thompson, and they did a good job of trying to explain the enduring appeal of this remarkable writer. I felt Thompson was right to emphasise Christie's simplicity of style - this is one of the elements that gives her work continuing global appeal. But of course there is more to it than that. Christie had a first class understanding of human nature, and this was brilliantly presented via Jane Marple, who has (at least, until late in her life) hardly travelled outside her little village, yet who has a very good understanding of what makes people behave in the way they do. As for the plots of the books, Christie usually eschewed gimmicks. Yet most of the puzzles are far from easy to guess. She had a rare gift for disguising clues with los of irrelevant information, and her technique is worth studying by any writer of today who wants to write a fairly-clued whodunit. Vacancy is a scary movie set in the middle of nowhere, USA, and starring Kate Beckinsale (daughter of the late great Richard) and Luke Wilson, of whom I must confess I’ve never heard. They play a bickering couple who are driving through the night, on their way to get a divorce after the death of their child has wrecked their marriage. The movie has its share of standard plot elements, and when the car runs into trouble, they make a forseeably bad move in stopping at a dodgy-looking garage and motel and trusting a weird mechanic to sort it out for them. When, predictably, the car quickly breaks down, they walk back to the motel, where an almost risibly creepy manager offers them ‘the honeymoon suite’. So far, so ordinary. But things take a fresh turn when the couple go to their room. Bad stuff starts to happen, and the conventional fare quickly becomes genuinely terrifying. Kate Beckinsale is a truly beautiful woman, but here her looks don’t play much of a part. It’s all about her fight for survival, and she does a good job with her role. Wilson, although far from charismatic, is quite good as Mr Average confronted with a nightmare. All in all, I enjoyed the film much more than I was expecting after the first ten minutes. And apparently it has gained enough admirers to warrant a sequel. I was sorry to learn of the death, a few days ago, of Gregory McDonald. He was an American novelist best known as the creator of Irwin M. Fletcher, who was brought to the silver screen by Chevy Chase in a likeable adaptation of McDonald’s excellent 1974 best-seller, Fletch. Fletch boasts a brilliant opening, one of the most stunning in the genre. I vividly remember reading the first couple of pages in a bookshop when I was a student, and deciding this was a book I really had to read. In a few lines of sharp, witty dialogue, McDonald establishes both a distinctive character and a fascinating situation. It’s a masterclass in how to practise effective and entertaining economy of writing. McDonald also created an intriguing policeman called Flynn, who featured in a few books, but he seemed to find it difficult to surpass that first, magnificent achievement and as far as I know, he hadn’t produced a significant novel for several years. But, for Fletch above all, he deserves to be remembered as a writer of genuine talent and verve. On Thursday night I visited Ashton under Lyne, which is on the fringe of Manchester, for the first time in years, to host another performance of ‘Who Killed George Hargrave?’ at Ashton Library. The event was organised by Tameside Council’s Reader Development Officer, Chris Smith, and all sixty tickets were sold a long time in advance of the event, which was very pleasing. Each cast of actors that performs the event brings something different to it, and almost always something that I find rather appealing. That was again the case on Thursday – the actors were likeable and engaging, and the audience responded very warmly to their interpretation of Martha, Arthur, Camilla and Richard, the four witnesses who are also suspects in the killing of the late lamented Mr Hargrave. There’s one more performance of the event scheduled for this year – at Blackpool, on 2 October. When it comes to international crime fiction, there are a few experts whose opinion is always worth listening to. Eurocrime's Karen Meek is one. Bob Cornwell, a contributor to CADS, Tangled Web UK, Crime Time and other publications, is another. Bob has kindly volunteered a guest blog about the subject that is so close to his heart. Here it is. 'Crime fiction in translation in the UK, as you are almost certainly aware, is currently enjoying an unprecedented boom. Fifty-plus titles in 2007, more in 2008. Perhaps you have read one or two, Henning Mankell or Boris Akunin perhaps – or The Oxford Murders by Guillermo Martínez (all recent best-sellers), or perhaps you read across the spectrum. And if you are like me, you probably wanted to know a little bit more about the author and his background than that all-too brief, sometimes inaccurate outline on the book jacket. Of course the internet has made such research much easier in recent times. But it is rare to find the information all in one place, still less in English. It was thoughts like these that lead to the start of a new series, under the umbrella title Crime Scene Europe, now appearing in the pages of Crime Time magazine. Produced under the auspices of the International Association of Crime Writers (better known as AIEP, the Asociación Internacional de Escritores Policiácos, on account of its Latin-American origins), it is subtitled A Practical Guide. It consists of a brief historical introduction to give some context to the modern scene; the rest is entirely concerned with what is happening now. It tries to cover the current best-selling writers (whether local or in translation); the key trends in local crime writing and publishing; the bookshop scene, both chains and specialists; where to find news and reviews (usually in the local language of course); the major crime fiction prizes and the most recent winners, along with the key festivals. All sprinkled with relevant websites to enable follow-up from those wanting to take their interest even further. You might even find it useful if you happen to visit the country in question! The Netherlands and Switzerland are next in line, with Spain, Denmark, Germany, Austria and Italy to follow. Other European countries are being recruited. At some stage I hope we can extend the idea to areas beyond Europe, to the vital crime scenes of Japan and Latin America for example. One of the pleasing things about a crime fiction convention is that, usually, you receive a bag of free books. It's always a fascinating experience to sift through the freebies and assess whether they are likely to prove a good read. I can remember a few of these gifts, over the years, that really were not very good books and I wondered, no doubt churlishly, whether the publisher was just keen to get rid of them. But sometimes it works the other way, and you come across a book that you might not otherwise have read (or even heard of) which is absolutely first rate. I had just such an experience at the Left Coast Crime convention in Seattle last year. The book bag was full of good things, but best of all was a novel called Whiskey Sour, by J.A. Konrath, the debut of female cop Jack Daniels. This was a very funny and fast-moving thriller which gave a fresh spin on the well-worn serial killer theme. I was impressed. Subsequently I did a bit of research on Konrath. He isn't a big name yet in the UK, but I think he will be one day. His output of material on the internet is very impressive, and his writing tips and insights into the publishing world are required reading for anyone keen to learn more about the business. 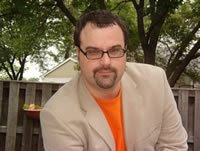 I've just exchanged blog links with Joe Konrath (pictured) and I can certainly recommend Whiskey Sour. I took advantage of ten rare minutes of bright weather to bid them farewell and join all the other people taking pictures. I was startled, when visiting the site of Crippen’s old house in Hilldrop Crescent, on the edge of Camden Town and Holloway, to see a small side road running off the crescent, which rejoices in the name of Belmore Lane. Could it be, I conjectured, that this name was inspired by the chosen pseudonym of Crippen’s wife Cora? When she went on the stage, she liked to use the name Belle Elmore. Alternatively, might the Elmore name have influenced the planners’ choice of street name? Previously, I’d wondered if Belle’s choice of stage name was influenced by the fact that Marie Lloyd – who was friendly with Belle, and knew Crippen – had, in her youth, used the rather similar name Bella Delmare. This still seems a bit more likely, and sheer coincidence is – as so often – entirely possible. It would be remarkable to choose a name for a street based on a corruption of the stage name of someone who lived across the road before her untimely death. Certainly, if there are any Camden residents or people who know the area who can cast light on the mystery, I’d be interested to hear from them. It may seem belated, now that Dancing for the Hangman, my novel about Dr Crippen, is only a few weeks away from publication, but I have at last made a pilgrimage to Hilldrop Crescent in Camden, where the little doctor is said to have murdered his wife Cora, aka ‘Belle Elmore’. Number 39, the former Crippen house, no longer exists. Apparently, it was hit by a German bomb during the Blitz. Now the site is occupied by a rather austere and functional block which rejoices in the name of Margaret Bondfield House. There is no sign, or at least none that I could see, mentioning the association between Hilldrop Crescent and one of our most famous murderers. Some of the neighbouring houses do, however, seem to be built to the same design as Number 39. It’s fascinating to stand in this famous side street and imagine what it must have been like when Dr Crippen and Ethel Le Neve lived as man and wife after Belle’s mysterious disappearance, for a few happy months until Belle’s friends persuaded Scotland Yard to investigate. After that, the couple fled abroad, Inspector Dew found human remains under the cellar, and the train of events was set in motion that would take Crippen to the gallows. Encouraged by positive comments and emails, I've decided to do (or, rather, persuade my webmaster to do, in between A Level studies) a map of locations from the Lake District series. Meanwhile, he's kindly included photographs illustrating the locations on the map of Liverpool that highlights places featured in Waterloo Sunset. Newest addition to the blogroll is Laura Benedict's blog. Laura (pictured) is an American writer and I hope that we'll meet one of these fine days at a crime convention in the States. Walter Sickert was an excellent painter (in my opinion) but he has the misfortune to be best known nowadays as the suspect whom Patricia D. Cornwell identified as Jack the Ripper. I confess that I haven't read her book, though I did catch a few minutes of the associated tv programme and found the arguments less than compelling. I have to say it’s a theory which strikes me as fanciful, to say the least. Reportedly, the best-selling author spent two million dollars researching her theory, which doesn’t really strike me as the best of investments – though, in fairness, her book about the case did sell in large numbers. My agent Mandy Little has an office which is a stone’s throw from the house where Sickert lived. It is in Mornington Crescent, not far from the Tube station. The house is privately owned, and I think it’s been divided up into flats, but the building bears one of those blue plaques for which London is renowned. Sickert was a curious fellow, and his Camden Town Nudes are spooky as well as melancholic paintings. But was he Jack the Ripper? I can’t believe it. Patti Abbott has kindly invited me to talk about another Forgotten Book of merit. My choice for today is Woman of Straw, by Catherine Arley. Which I bet not many people remember! completed the first two Bond movies - his first million dollar pay check. not been able to track it down. ingenious criminal scheme, with wheelchair-bound Carl Richmond at its heart. The mystery is gripping and its resolution dark. Yesterday was very busy, but I just about managed to squeeze in the giving of a short talk at a lunch in Southport, organised by the Romantic Novelists' Association. Southport has happy literary associations for me. In the autumn of 1990, I attended the annual writers' seminar there. Robert Barnard was the guest speaker. I entered a short story for a competition judged by the fiction editor of 'Bella' magazine - and to my delight, it won. 'Bella' published the story - my first published fiction. Bob Barnard kindly recommended the editor of 'Ellery Queen's Mystery Magazine' to print it in the States, and a few weeks later my first novel was accpeted. A heady time. So it was good to go back to this very pleasant (though today, very wet) resort and meet some most companionable people. They included Judith Saxton, who is now better known as the best-seller Katie Flynn. The last time I saw her was more than ten years ago, at a CWA Awards Dinner - she had contributed a story to an anthology I edited, and it was short-listed for the short story dagger. I was glad to catch up with her again after so long. It's a familiar question. One unusual - maybe unique - answer is that I was given the idea for a key scene in Waterloo Sunset by a BBC film crew. Almost exactly six years ago - on 16 September 2002 to be exact - Murder Squad, the crime writers' collective of which I'm proud to be a member, featured in a BBC TV show called Inside Out, which focused on Northern crime writers. We were filmed having a meal at Ann Cleeves' house (in those days she and Tim lived in Yorkshire; now they are in Whitley Bay), and then Ann was filmed on Hilbre Island, off the Wirral coast, while I was filmed beneath Runcorn Bridge, talking about a new plot. In fact, the idea of using Runcorn Bridge came from the TV people, because they thought (quite rightly) that it would make a great visual image. As it happened, I was writing at the time books that weren't based in Merseyside. But when I finally got round to Waterloo Sunset, I remembered the TV show - and the Bridge does play an important part in the story. I’ve just received my author copy of Crime Scenes, a new anthology published by Wordsworth and edited by David Stuart Davies. David is best known as an expert on Sherlock Holmes, but in fact his criminal interests range far and wide and, in addition to his various novels, he has edited a considerable number of books for Wordsworth. The contributors include some of my favourite British writers – Peter Lovesey, Margaret Murphy and Natasha Cooper among them. It’s good to see Jerry Sykes’ name on the list as well; he is a gifted specialist in the short form. Among the newer generation of crime writers to feature is Rafe McGregor, who also has Sherlockian leanings. There’s a clear winner for the prize for best story title: ‘The Postman Only Rings When He Can Be Bothered.’ The author is Peter Guttridge. My own contributions are two stories I wrote a few years back, both of which I’m rather fond of, ‘Eternally’ and ‘Melusine’. 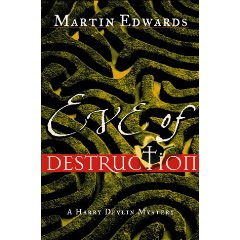 I'm fascinated by mazes, and they featured in Eve of Destruction (I always liked the maze on the cover of the American edition) as well as, to a lesser extent, in The Arsenic Labyrinth. Yesterday, therefore, it was fun to pay another visit to a local maize maze. The maize maze is to be found in the fields belonging to a local farm. They first built a maze a few years ago (there are several up and down the country, and I gather the idea originated in the US) and have steadily expanded the range of attractions, as well as the number of different mazes. So there is also a fence maze, a no U turn maze, and a colour coded maze. Plenty of different ways in which to get lost. The pleasure of mazes is, I think, similar to the pleasure of a puzzle novel from the 1930s. It may not be the most sophisticated form of pleasure, but who cares? I certainly find them enjoyable.